Check out photos from this year's Homecoming events! Join us for events on campus for the BSU alumni reunion! 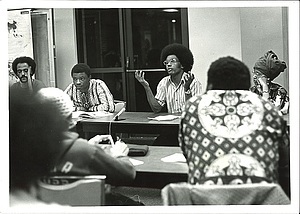 The BSU was established in fall 1968 by a group of students who craved a space where they could celebrate their culture, their accomplishments, and lift up black struggles. The yearlong celebration kicks off at Homecoming. Other lectures, alumni speakers, and special events will fill out the calendar, culminating in an alumni reunion celebration April 26-28, 2019. BSU Film Screening, "Agents of Change"
Religion Forum: "Here We Stand": Reflections on Luther College’s Racial History and Legacy. All alumni and students are invited to join us to walk in Luther's Homecoming Parade. 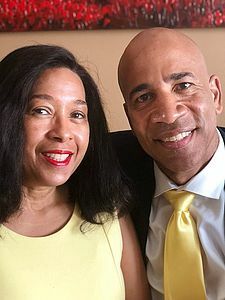 Join alumni and friends for a casual brunch hosted by Lisa Scott, Interim Dean for Institutional Equity and Inclusion, celebrating the election of Denise '82 and Willie '84 Davismckennie as co-presidents of the Luther College Alumni Association. An embodied dialogue -- "Issues of Color: It's More than Black and White," directed by professor of dance, Jane Hawley '87 in collaboration with members of Black Earth Collaborative Arts and community members of Minneapolis. Funded by The Doris and Ragnvald Ylvisaker Endowment for Faculty Growth Award. Gaone will also be a CEPE visitor at Luther (November 25-28). The Price Lecture is an endowed lecture funded by Lucile Brickner Brown Price to feature speakers who illustrate the roles, contributions, programs and achievements of women as leaders in society. Dr. Mayes is Associate Professor at the University of Minnesota; former chair of the Department of African American & African Studies; and the Horace T. Morse-Alumni Distinguished Teaching Professor. He earned his Ph.D. in history from Princeton University. 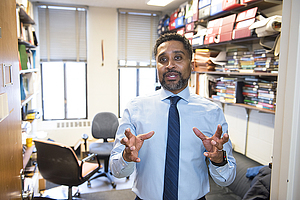 His teaching and research interests include the Civil Rights and Black Power movements; education policy and history; black holiday traditions; racial equity and critical ethnic studies pedagogy; and the history of African Americans. Dr. Mayes has published one book entitled Kwanzaa: Black Power and the Making of the African American Holiday Tradition. He is currently working on another book entitled, The Unteachables: Civil Rights, Disability Rights and the Origins of Black Special Education. 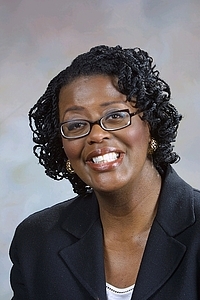 Tiffany Patterson, Vanderbilt University Associate Professor of African American and Diaspora Studies, and History, and Director of Undergraduate Studies in African and African Diaspora Studies, will give the Luther College spring convocation address, "Black Students and the Creation of Black Studies." Ibram Kendi, author of Stamped from the Beginning, winner of the 2016 National Book Award for Non-Fiction, his 2012 prize-winning book, The Black Campus Movement, will provide a wonderful historical context and backdrop for our yearlong celebration. Dr. Deborah Smith Pollard, Professor of English Literature and Humanities at the University of Michigan-Dearborn. The Sihler Lecture is sponsored by the Sihler Family Endowment, which funds lectures with an emphasis on women in church music. The event is co-sponsored by the Luther Music Department and Women & Gender Studies program. Join us on campus for a weekend celebration of the founding of the BSU at Luther College. Panel Discussion: alumni and current students. The film's co-director and co-producer, Frank Dawson, will provide a talk-back session with the audience regarding the making and significance of a film honoring more than 50 years of Black Student Union activism on Historically White Colleges and Universities (HWCU) campus in America. Learn about the fascinating research being done by current Luther students: Janet Irankunda '19 (Music) will share her senior project, Fadzai Teramayi '19 (Biology) will present research she did with Professor Baack, Hawi Nyiera '20 (Chemistry) will share research she did with Professor Michels, Darnelle Lyng '20 (History) presents on the cultural importance of Michael Jordan, Asha Aiden '20 (Political Science and Religion) will present her case study of environmental racism, and Siyabonga Mabuza '22 (Management/Econ) presents his research about Kuumba at Luther. We hope you'll join us for these events over the 2018-2019 academic year! Several alumni have been invited back to campus to speak to students throughout the year, including: Christie Owens ’16, Maggie (Steinberg) Hagen ’15, Emerald-Jane (Aggrey-Appiah) Hunter ’03, Maxie (Jones) Rockymore ’82, Lorenzo Creighton '75, Barbara Fuller '72, and Spruiell White ’67. More events and information will be posted as plans for the celebration progress. “50 Years of the BSU at Luther College,” an exhibit of historic photos and timeline will be available for viewing throughout the year in Preus Library. Alumni maintained by Sherry Alcock. Page last updated on 18 April 2019.